First of all, the packaging is very well-designed and durable. Every bag comes with the hard luxury black box. As you can see, it looks very hard. Therefore, it won't be crushed when being delivered. 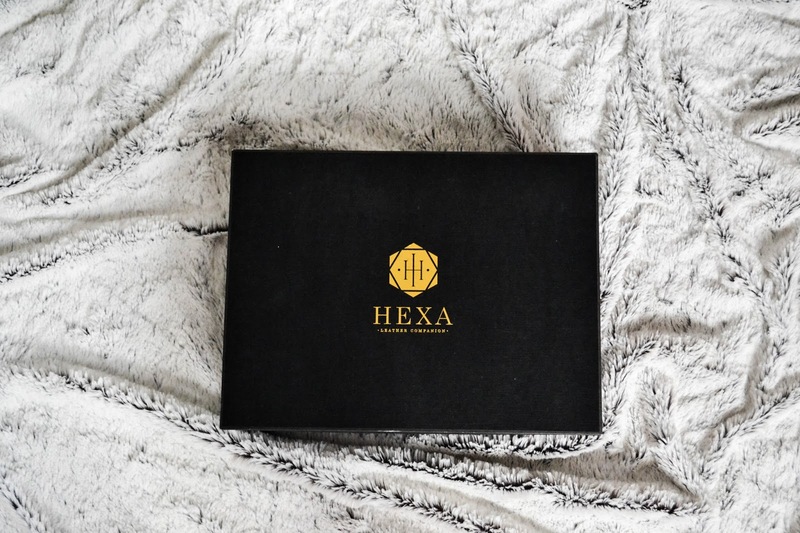 I have been a fashion blogger of The Equinox Fashion for almost 5 years I think, so I have come across a lot of dissatisfying packages from the brands I worked for. I mean, when you pay for something a bit pricey, you kinda expect the packaging to be on point. Some might not pay attention to such matter, but I do. Second, I love the fact that I can put all of my daily essentials in the bag. For example, the gadget, purse, a few cosmetics, and etc. 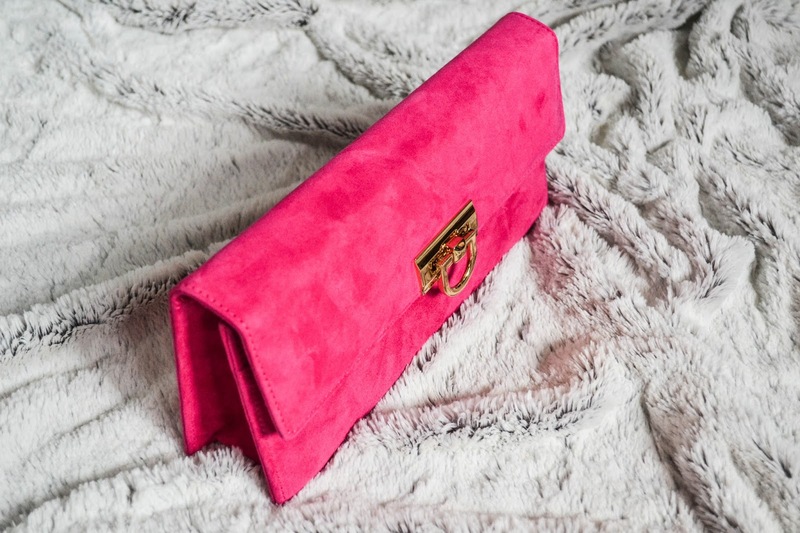 This look-alike clutch bag can be the go-to piece for every style as well. I am more of a street fashion blogger, but somehow I think that this baguette is versatile enough to pair with any fashion tastes. 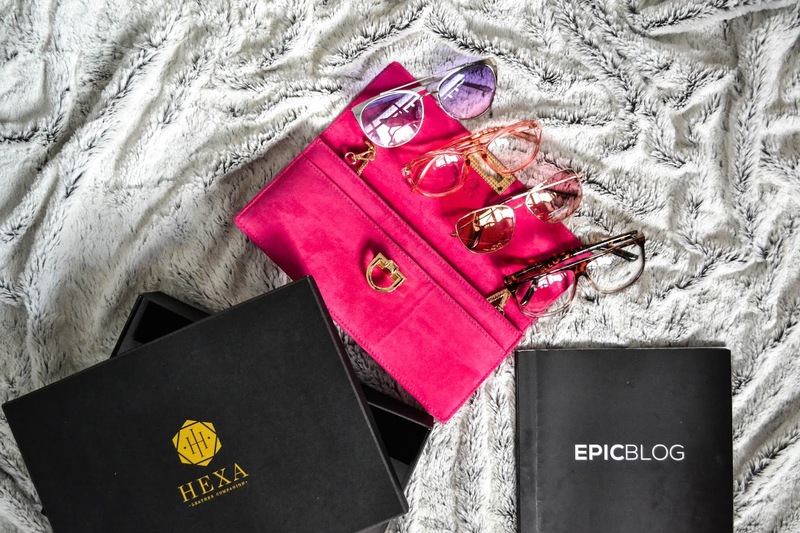 If you follow my Instagram (@thequinoxfashion) You will notice that I can't live without the eyewear. So, in order to pair my choice of the day, it is such a tough decision, because every pair would look so well with the pop of pink like this! However, not only the vivid tone I love, the quality of the suede leather is absolutely perfect. I mean, rarely have I used the word 'perfect' But I need to give it for this brand (for good). I just don't know how to explain, because I would love you guys to touch it yourself, so that you will know what I am talking about. The soft touch of the lamb suede is divine and luxurious indeed. Besides, it comes with the golded chain, which means you can both hold it or use as a shoulder bag. Good to go for day-to-night occasion, I would say. Like I said earlier, the bag is very handy because I can put many things in it. As it can be seen in the pictures below, there are 3 pockets inside too. Just in case you want to use it for the party or special dinner, you can simply put the name cards, or any other small items in the bag as well. That's what I do actually. I mean, my purse is quite big, and I just don't want to ruin the shape of the bag. 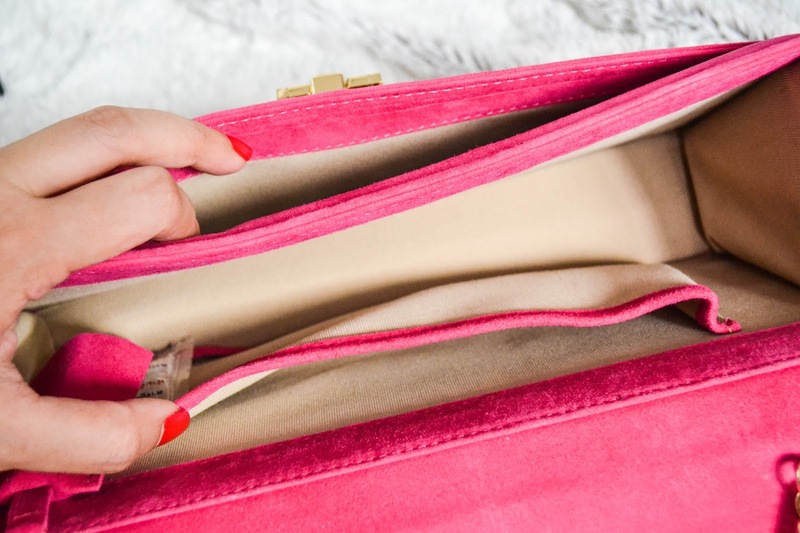 So, instead of stuffing the purse in, I only take the notes, credit cards, and a small amount of coins with me. With this bag, it allows me to conveniently separate them. This bag is looking so gorgeous ! It's much bigger than I thought it was on Insta. 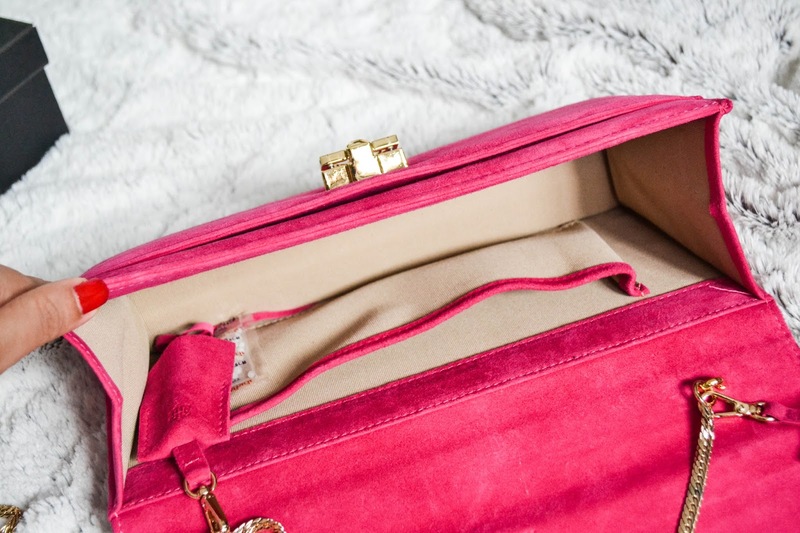 I love the vivid pink suede and gold detailing. It's such a beautiful bag! I am clicking over to check them out now, I feel like I need this in my life!! Thanks for the review, dear Gail! I have to admit that this brand wasn't on my radar so far - but after reading your review I must take a closer look on these bags :) Thanks! 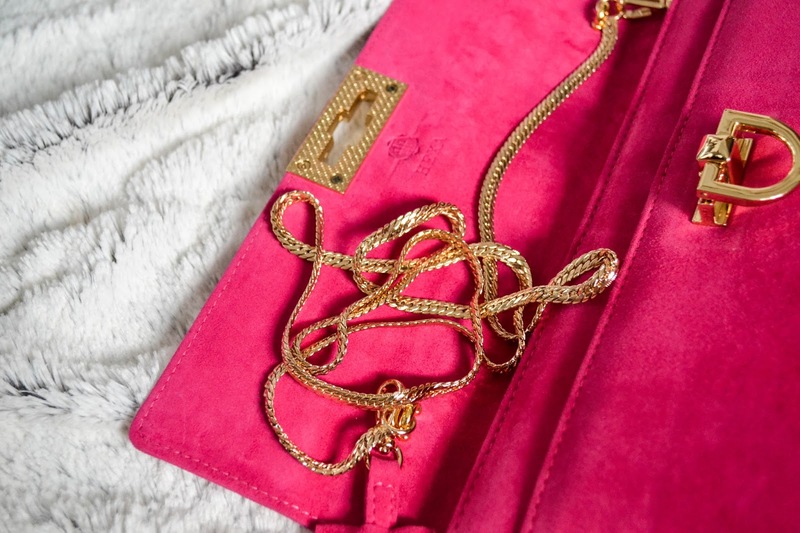 I love pink suede leather and gold chain very much!! Very nice bag! Love the color! I haven't heard of this brand before! It is so pretty though!! What a gorgeous bag! Love the pink color and the golden hardware! That pink bag is eye popping. It has so many compartments.